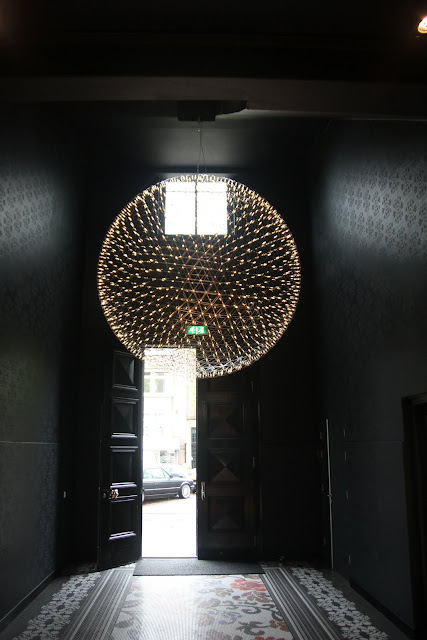 Create your own starry night with a constellation of orbs designed by Raimond Puts for Moooi. The blueprint for this pendant lamp with LEDs suspended on a steel-framed sphere was said to be inspired by the beauty of mathematics. It’s no surprise that this commingling of art and alchemy has resulted in an award-winning lamp that is sure to ignite a conversation, whether it’s suspended solo or grouped like this twinkling trio. The round Raimond lamp is available in six sizes, so it’s easy to create your own glowing galaxy close to home.